High quality micellar casein, which allows you secure your muscles against catabolism night. Great taste and good solubility! 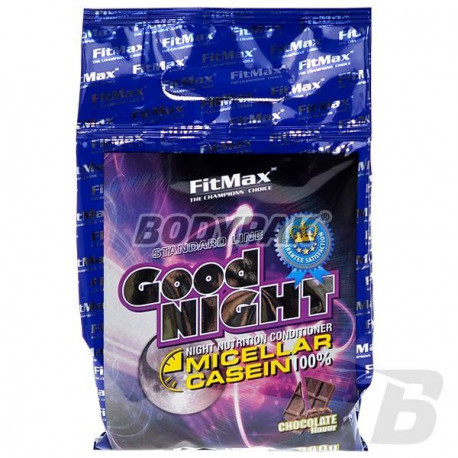 FitMax Good Night is a foodstuff to assist the regeneration of the body during sleep. The basis of the product is micellar casein, which is by far the largest component of all milk proteins. It is rich in glutamine, a natural form of casein, much better used by the body than the caseinates. 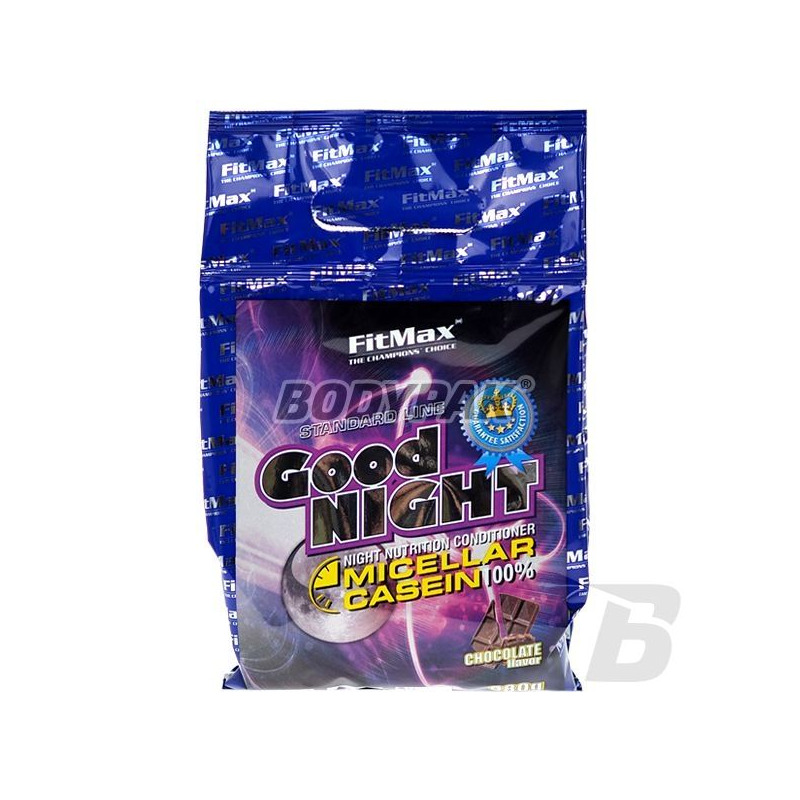 FitMax Good Night has a long digestion time, thus demonstrating effective anti-catabolic effect for many hours. This enables faster and more efficient regeneration during the night's rest. Ingredients: micellar casein (milk) , cocoa, acidity regulator: citric acid, aroma of vanilla-cream, sweeteners: aspartame, acesulfame K.
Słabo się rozpuszcza i jest słabo wyczuwalny w smaku (wanilia). Ale w działaniu bardzo dobre, nie budze sie w nocy głodny, przesypiam spokojnie całą noc.